I was going to play some DDO tonight once I finally got to the computer, but alas – DDO is down; YAY! – it’s because U29 is getting up and running! So then I remembered, “Hey! 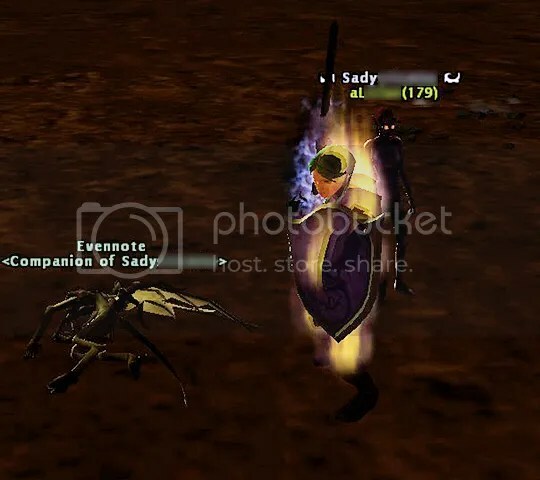 I have a DDO blog! 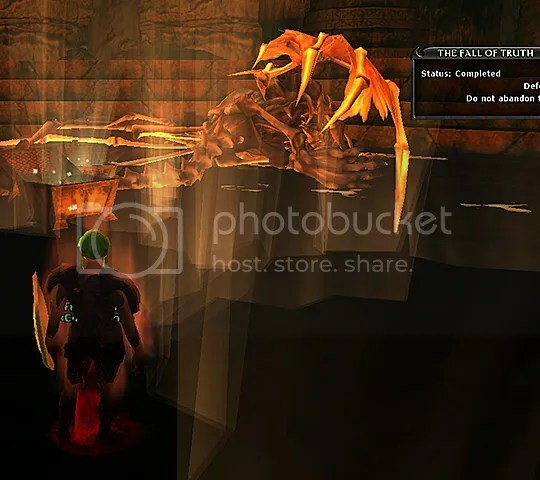 A sadly neglected DDO blog… but a DDO blog nonetheless.” And I figured, even if I’m the only one who reads it, this is a great way for me to keep a record of what my toons have been up to and what they’re planning on being up to next. I’m now up to 18 – yes, EIGHTEEN – toons on Thelanis, which is pretty much the only place I play any more. Even had taken a bit of a break for a while as I worked on leveling up a couple of her brothers and sisters, but after being caught off guard by the last two guild renown weekends happening at very inopportune times for me, I resolved to GET SAGAS DONE NAO. Next renown weekend, I’ll be prepared. Our little band of Flower Sniffers is up to level 95 – not bad considering only two of us play most nights. Even’s nearly done with the epic Eveningstar sagas, all on true elite, and is rather proud that she soloed her way through most of the quests. She just needs two more Wheloon quests to have them all done. She’s also halfway through a true elite epic Gianthold saga, and hasn’t started epic 3BC yet. I’m thinking that just with the sagas she has completed, and a few scattered ones that other toons are holding on to, with renown pots (which I’ve stocked up on thanks to some really nice sales) and our small guild bonus, I think we have enough renown banking in sagas to get to 100. Hopefully we can get all of us on for the guild fame announcement… and then I think we should all strip naked (our toons, that is… anything else is a personal decision *g*), head into some quest we’re wildly over-level for *koff*PIT*koff*, and put a serious dent in Acanthia’s stash of nearly 1,200 Potions of Wonder. Even also finally realized her goal of soloing Fall of Truth, even though it came about in kind of an odd way – I originally only went in there thinking it’d be a great place to farm wraiths for the Monster Manual pet. But after a while, she noticed that the wraiths really weren’t spawning any more. I was going to recall, and then I thought, ah, what the heck, let’s see how far she can get. After she got each of the dragon/giant pairs down on her first try, I started thinking maybe this wouldn’t be so bad. When her handy thunderforged throwing axe made much shorter work of the crystal than her non-epic Bow of the Silver Flame had in her only previous solo attempt, I let myself get cautiously optimistic. But it wasn’t until I realized that the only two mobs left were the Stormreaver and the Truthful One, and they were both down to a sliver, that I really thought she’d make it. Sadly, no violet cube in any of the chests, but still a great feeling to get the completion. And speaking of cosmetic pets, not counting any potential new ones from U29, I have just four left to go – wraith, rust monster, and hellhound from the Monster Manual, and violet cube from FoT/Caught in the Web. Even has made two tries at soloing CitW; first one, something was glitched because Ana wasn’t there, and the second time she got whooshed over the edge by one of the stupid legs. I really like Even’s soloing style. It’s very resource-INdependent – no store items, no hirelings at all (unless absolutely needed for stuff like lever-pulling, and then used ONLY for that purpose), no multitudes of buffs. She’s been twisting Energy Burst for some AoE damage (very helpful in places like Wheloon), so Jall mailed her a few dozen mana pots to help her keep that going. Stalwart Pact, Holy Sword, Zeal, Death Ward – that’s pretty much it. When I remember, I’ll use Prayer and Divine Might; once in a while she’ll whip out a Blur wand or a True Seeing scroll if the situation warrants. No invising through quests; she stands and fights everything (although she’s been learning to kite because trying to stand one’s ground in a horde of angry Shadar-Kai assassins can be a bit TOO exciting sometimes). She Cocoons if she gets down to around 900 HP and usually doesn’t need more than one Cocoon per fight, if that. I have to admit, I’m really liking the thought of a level 30 Even. I debated epic TRing at least some of my 28s before the update hit, but aside from Even, they all have a lot of saga quests to run, and that should help them all get the last two levels. Maybe if I’d been seriously thinking of TRing any of them to begin with… but I wasn’t. The next two to TR will be Meren (from rogue back to Favored Soul) and Ivy (from paladin to arty). Char is enjoying her third life; she’s now a lvl 5 druid, although sometimes she kinda misses her ranger days. Vic is back up to 28 after an eTR a while back, joining Even, Jall, Dissy, and Zak at the (old) epic cap. Chalei’s still 26, and Laegonn just hit that mark as well; Acanthia’s up to… OMG, I forget, 24 or 25 after a semi-recent eTR. Meren, Riva, and Sere are also 25; Ivy’s 24; Winnie’s banking 19; Thangie and Getting-the-bank-bard-I-never-intended-to-play are 18; F2P alt Amie is 13 (and soloed her way through the LoD chain at lvl 12 because she wanted to see Eveningstar); Reera’s banking 7, and my new barbarian Tuna (short for Niituna) is 7. OK, that’s actually 19 counting Amie, but she’s on her own account and doesn’t get much playing time, although she HAS managed to get her little guild of one up to level 20 and is the proud owner of a Windspyre Sparrow. *sigh* Blogging is fun. But I have somewhat less free time than I used to, and I’d really rather be playing DDO.